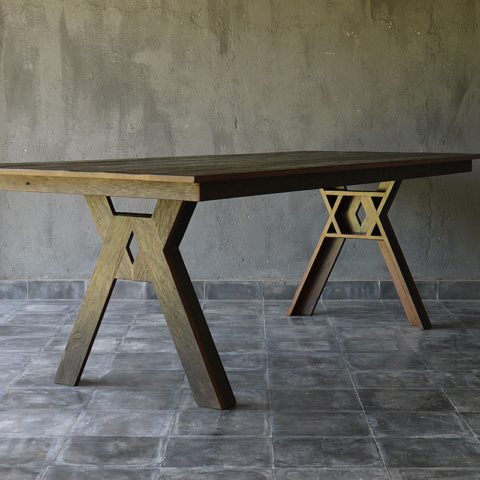 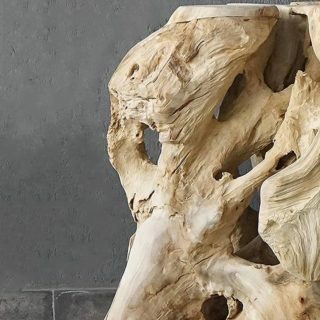 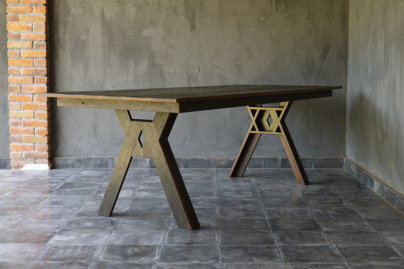 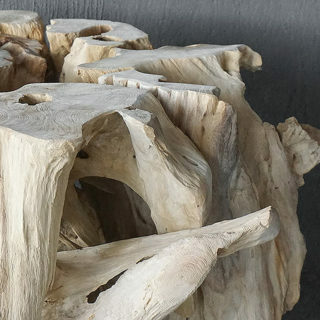 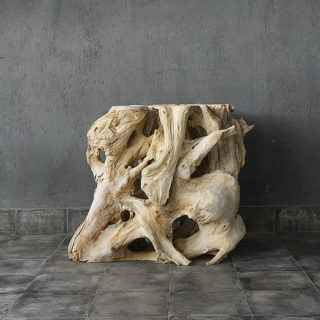 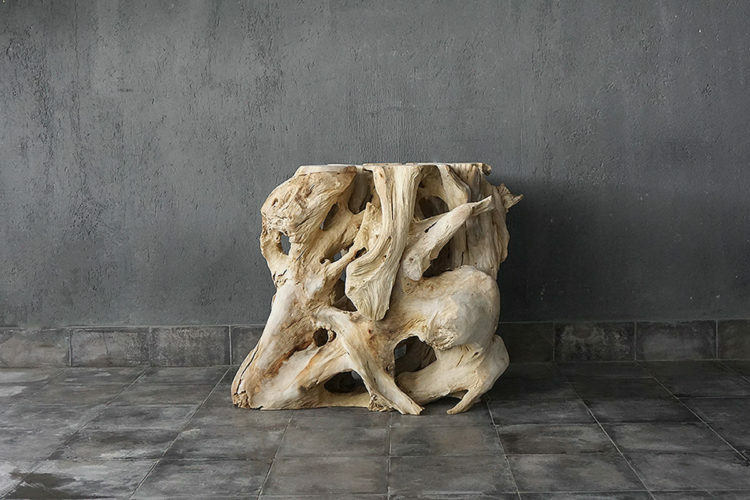 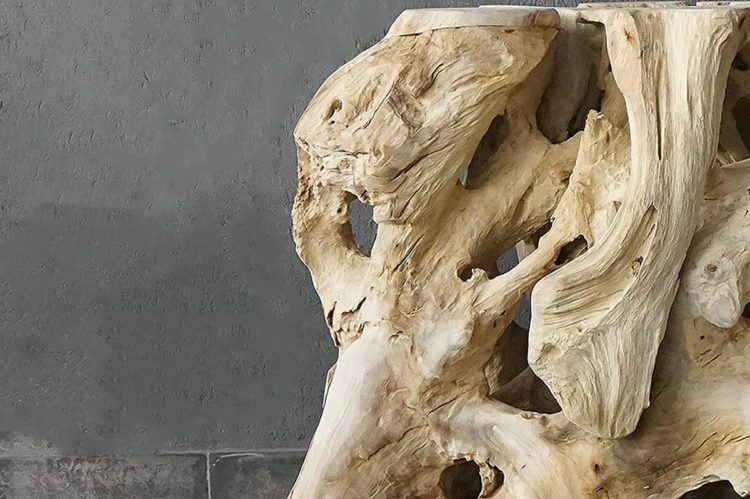 Our one of a kind natural teak roots are unearthed from a protected and controlled teak forest in Indonesia. 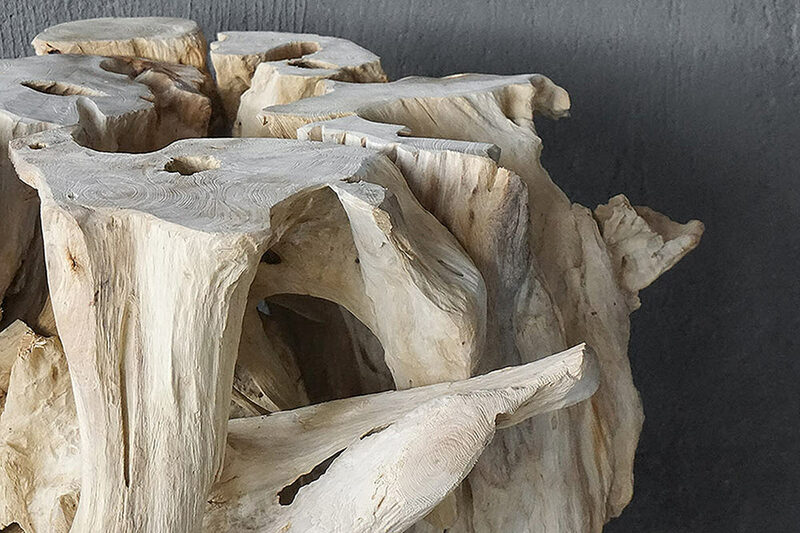 Once the teak trees are mature they are logged and the root is removed to make way for replanting new trees, maintaining sustainability. 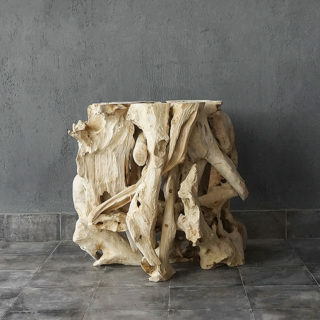 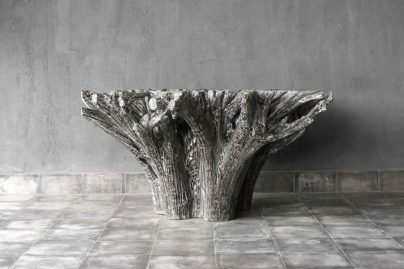 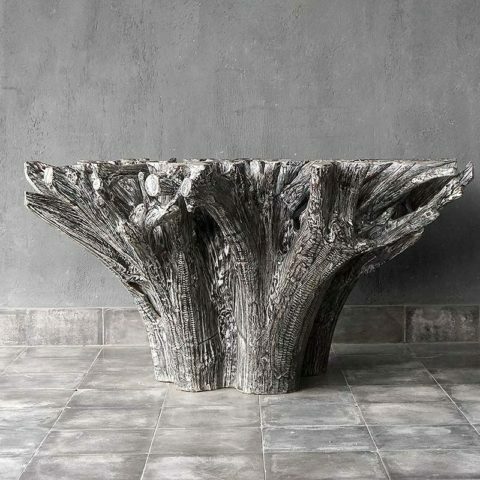 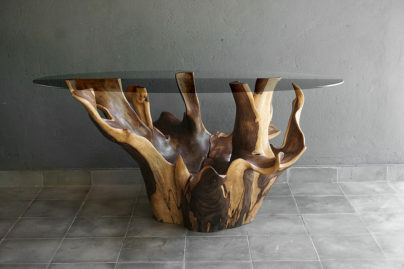 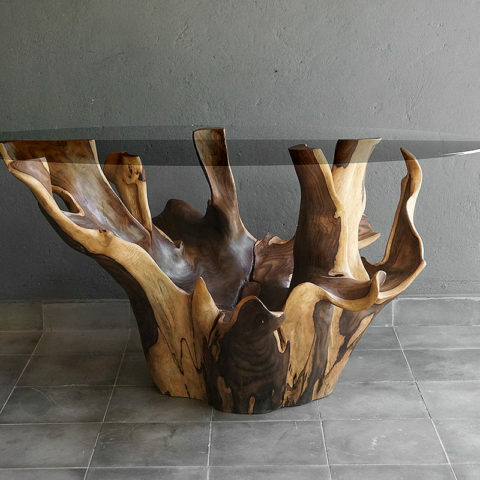 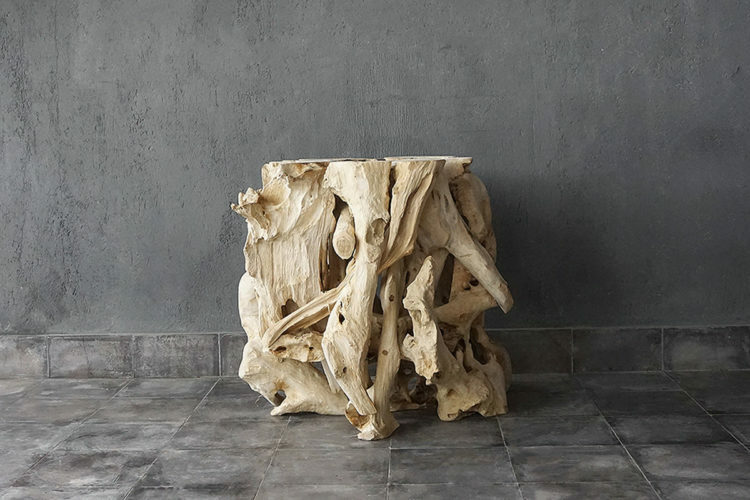 This one of a kind pedestals can stand alone or with concrete or glass on top to create a beautiful dining space.